Today Spick and Span window cleaners went to East Dulwich to clean the windows of a three storey property which had some difficult to access windows at the rear. Four of the windows were above a kitchen extension and so could not be cleaned using a ladder. 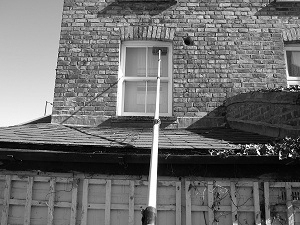 Spick And Span window cleaners were able to reach three of them using ladder-less window cleaning technology the fourth was cleaned safely from on top of a wall above the roof.